Newly updated second edition and now in paperback! This is the first book on implementing financial models using object-oriented C++. Assuming only a basic knowledge of C++ and mathematical finance, the reader learns how to produce well-designed, structured, reusable code via carefully-chosen examples. This new edition includes several new chapters covering topics of increasing robustness in the presence of exceptions, designing a generic factory, interfacing C++ with EXCEL, and improving code design using the idea of decoupling. Complete ANSI/ISO compatible C++ source code is hosted on an accompanying website for the reader to study in detail, and reuse as they see fit. Whether you are a student of financial mathematics, a working quantitative analyst or financial mathematician, you need this book. 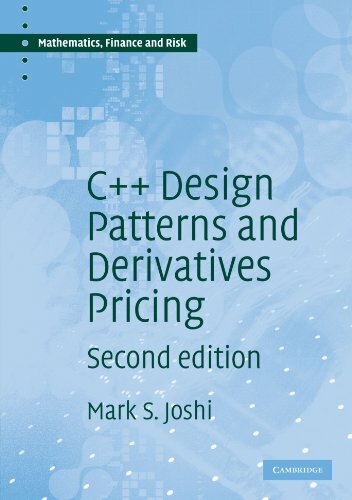 Offering practical steps for implementing pricing models for complex financial products, it will transform your understanding of how to use C++.